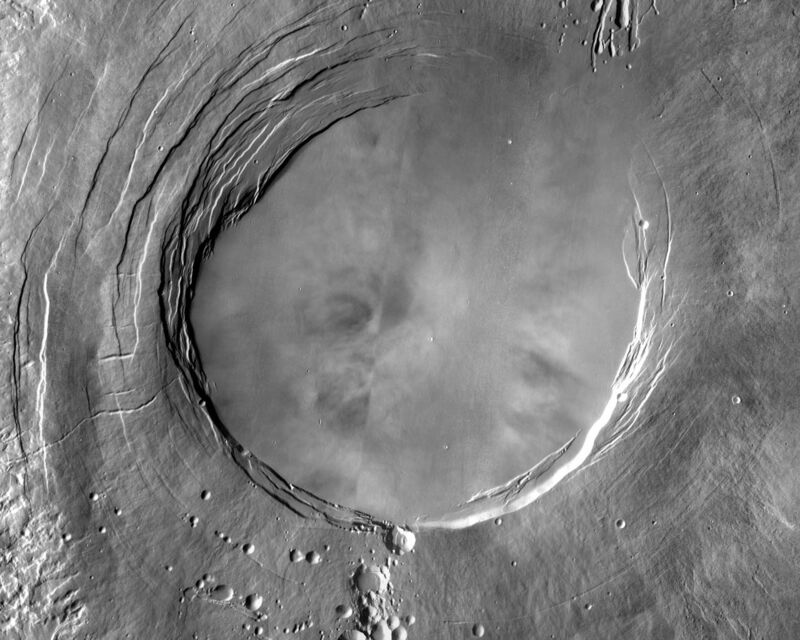 Arsia Mons is the southernmost of the Tharsis volcanoes. 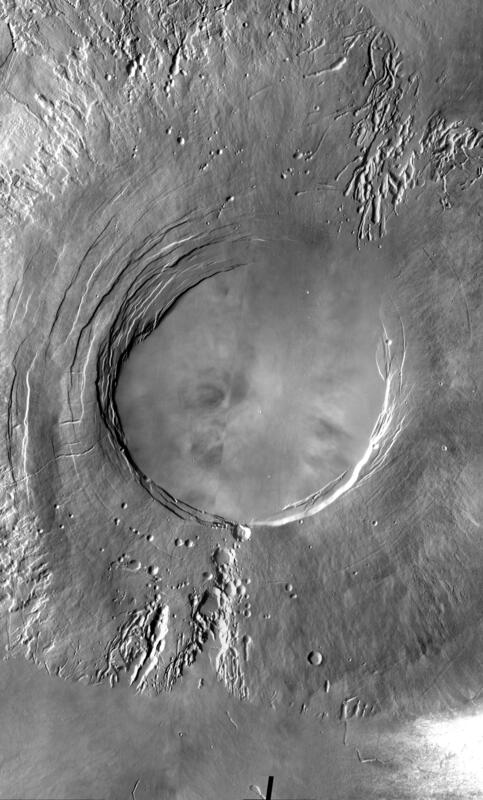 It is 270 miles in diameter, almost 12 miles high, and the summit caldera is 72 miles wide. For comparison, the largest volcano on Earth is Mauna Loa. From its base on the sea floor, Mauna Loa measures only 6.3 miles high and 75 miles in diameter. 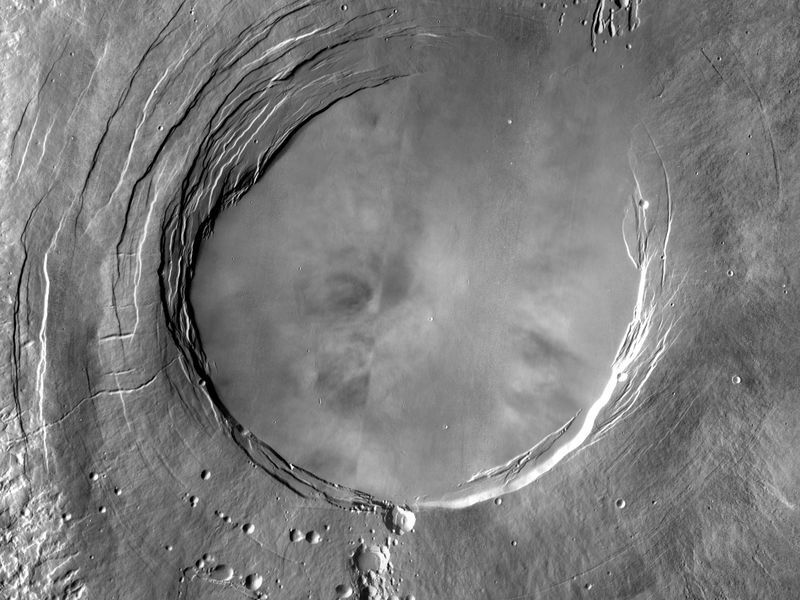 The image here is a mosaic of several daytime IR images. 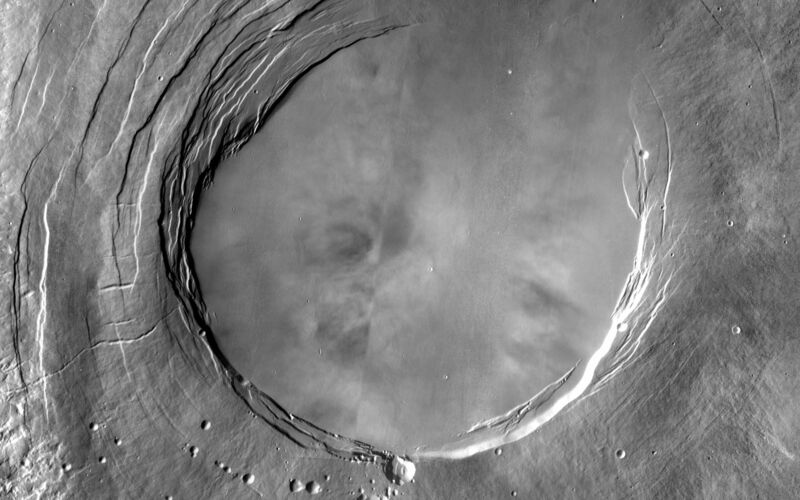 The indentations on the SW and NE sides align with the Pavonis Mons and Ascreaus Mons to the NE. This may indicate a large fracture/vent system was responsible for the eruptions that formed all three volcanoes.